I was listening to the Prime Minister on the Today programme the other day, outlining the decision to continue to maintain pensioner benefits, whilst reducing the welfare budget elsewhere. He said that this was done in recognition of the fact that pensioners cannot easily adjust their circumstances and that it would be unfair to expect this of them. Therefore cuts to benefit expenditure must be found elsewhere, amongst the younger population of working age. I really wonder how much thought has been put into the idea that changing one’s circumstances is easier here. For a start, there is the well-worn point that many of those in receipt of benefits are in fact employed already – on low wages that mean they need the additional support of social security to make ends meet. Many are working long hours for little pay, leaving precious little time to search for a better opportunity; many are tied to their local area by community, their children’s schools, travel-to-work costs. In a scenario where costs increase, and/or where the value of benefits decreases relative to other costs, it is possible to make work not pay – the opposite of policymakers’ aims. And if you are out of work and struggling as it is, cuts in benefits will make everyday living harder, and may compel decisions which remove you from networks of support. If rising costs and cuts in benefits mean that unemployed parents or low-income working families move house in search of cheaper rent, they may lose a great deal in terms of community support, their children’s education, the jobs they have, or future opportunities. David Cameron seems to think that changing your circumstances in early and mid-adulthood is fair to expect. This might well be so if you have a good education and employment record, and a range of marketable skills, but for many of those in need of additional support, this may not be so. Say you’ve had time out of the workforce to raise children and find that your skills no longer meet labour market requirements; say you don’t have a partner who can easily pick up your children from school so that you can take on conventional working hours. Say the reason that you need housing benefit as a young person is because you have no family to fall back on, and earn too little to afford city rents without support. Say you’ve never gained qualifications, or have disabled or elderly relatives who rely on you for care. 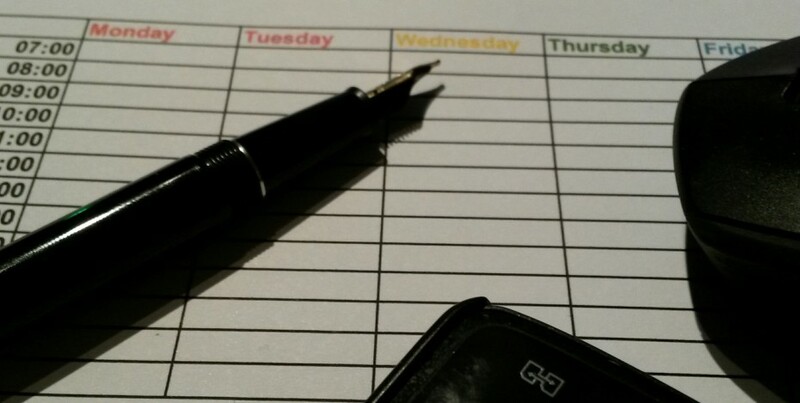 None of these circumstances make it easy to change your life. The policy of freezing or cutting working-age benefits is likely to mean that more people seek drastic solutions to make ends meet: so they take on second and third jobs which impact on their health and their families’ ability to function; they move house and lose relationships or jobs; they turn to money lenders charging high rates of interest. None of these scenarios is cost-free. From a position of economic security and social and educational capital, it is easy perhaps for politicians and others to underestimate the challenges of change for less advantaged families. If it is true that it is not fair to expect pensioners to be able to change their circumstances easily – and that seems eminently reasonable – why is that less true for families of younger adults and children? When wages have stagnated (according to reports today we still take home less than in 2001) , when affordable, high-quality childcare is only patchily available, and when relatively few people under 35 can manage to buy their own home, how easy is it to transform your life? For many of working age it would seem that plus ca change, plus c’est la meme chose – and the thing which stays the same is the struggle to make ends meet, and a lack of recognition of how hard that can often be. 750 years on, what about women in parliament? 2015 is a big year in the history of democracy in the UK, with the 800th anniversary of the signing of Magna Carta, the charter which laid the foundations for the rule of law and rejected the divine right of kings, and this week’s 750th anniversary of the first English parliament. The De Montfort parliament met on 20th January 1265, and was marked by its inclusion of representatives from the major towns, as well as knights from the counties, thus making it the first parliament with regional representation beyond the baron class. So what can we shout about in terms of women’s representation and participation in Parliament? Having taken just short of a century to make up less than a quarter of MPs, is it time to take more assertive measures to get women in via quota systems or all-women shortlists? The European countries with the best records in terms of women’s representation are the Nordic countries, where various strategies have been implemented. In Iceland, there is a voluntary quota system for party candidates which has led to a parliament that is around 40% female; 44% of Swedish parliamentarians are women – there is no quota system here, but gender equality is powerfully supported constitutionally, including in the famously egalitarian system of parental leave. Over half of Sweden’s government ministers are female. Meanwhile back here in Britain, a House of Commons Library publication illustrates the contribution of women in parliament to social justice and family welfare. The first sitting woman MP was Nancy Astor, who remarked in 1928 that 20 measures affecting women and children had been passed since 1918, when women first entered parliament, compared to only 5 between 1903 and 1918. So women’s voices have made a difference to the legislation and life of Britain. Since then, women MPs have been instrumental in introducing laws regarding domestic violence, FGM, Child Benefit and reforms to women’s rights in terms of pensions, as well as crucially influencing the climate around equal pay, marriage and divorce and wider equalities legislation. All this suggests that women can make a difference in the House, and that women voters can make their voices heard. As we limber up to the 2015 election let’s remember how far women have come, but not underestimate the challenges. 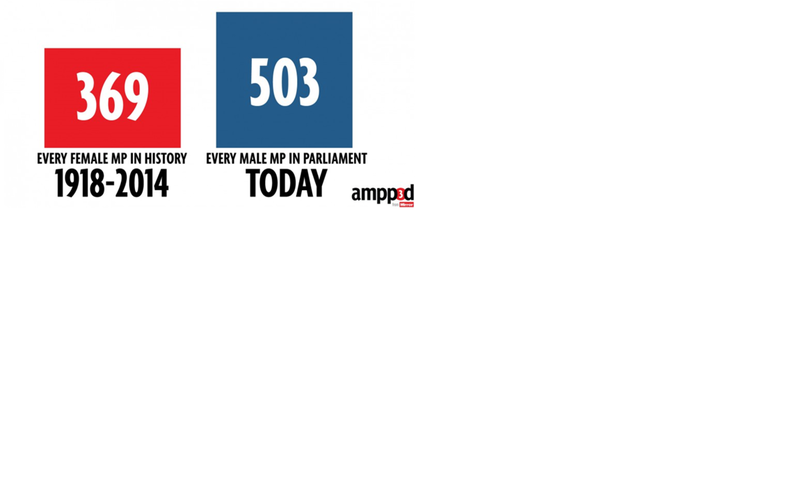 Depressingly, it has been estimated that nearly three quarters of parliamentary candidates are men. Women must campaign – and vote – to change that. Promoting Women: What you see is what you get? Welcome to 2015 – many articles in the papers and on-line have talked about the success of feminism in 2014 (e.g. this Guardian leader) with social media rallying women to a variety of causes, and Malala winning the Nobel peace prize. And indeed progress has been made, in spite of continuing concerns around objectification and trolling of women in public life. So, as the new year dawns we have been encouraged by an avalanche of articles and listicles to participate – and get ahead – in our new world of opportunities. Optimistically, I dived into the Telegraph’s Women section to read a piece on ‘How to be promoted’. Couldn’t help noticing that the illustration showed the handshake of what were incontrovertibly two businessmen. The picture has now been changed to include women. Then my attention was caught by a headline in the New York Times Opinion section – Nicholas Kristof on ‘How to get more women to join the debate’. Interested to find out, I clicked on the link and found that this piece is in fact by a young woman called Emma Pierson who has analysed around a million comments on the NYT website and found that women leave only around a quarter of the comments. They tend to cluster in areas of stereotypically female interest such as parenting blogs, rather than in stereotypically male areas of interest. There’s a discussion about how algorithms based on reader preferences may reinforce such stereotypes. All good stuff, but initially promoted under Nicholas Kristof’s name rather than the writer’s. When you click through the authorship is clear, and it is also clear that this blog includes pieces by writers other than the man himself, but it seems a great shame that this analysis of women’s role in public debate, written by a woman, is initially found under the man’s name. Perhaps we should accept that a wider readership will access it under the better-known Kristof name than her own, but this seems to amplify the very concerns that the article raises – that women face barriers in entering public debate, and most of what is written in the media is written by men. Couldn’t there be some formula for the opinion page click-through which credits the female author immediately as a contributor to the Kristof blog? Not that difficult really. By sticking a picture of businessmen above an article on workplace promotion, and by promoting a woman’s writing under the name of a man, two newspapers show that we still have some way to go on the journey towards gender equality. We do need to move beyond what Grayson Perry so eloquently described as ‘Default Man’. Let’s hope that in 2015 women get to be seen to be full participants in working and public life.